Corso Is The Premier MES Solutions Provider. From a greenfield facility to integrating lines in an existing facility, Corso has the expertise to tailor the solution to your needs. We take a consultative approach to finding and implementing the right solution, provide training to get the best use of the system, help interpret the data, and provide ongoing support for the life of the system. Corso focuses on creating systems from top floor to shop floor, meaning from the company leaders to the operators, the systems we create provide the best and most efficient operations and insights available. We’ll take the years of experience we have creating systems for companies across the industrial spectrum and apply all that knowledge to the system that we create for you. Corso will have conversations at the various levels of operators, supervisors, and managers to understand what you want out of your system, so we can provide it in the most efficient manner. We focus on high level information systems, leveraging our process and development expertise to build the best solutions for our customers. We are not the largest company in the world, as a result operate with a more agile approach than most companies. Working collaboratively with our customers rather than slotting you into a particular time frame, and are focused on developing long-term, high-trust relationships with our customers. We extend our internal culture of results above all else as our measuring stick to all of our projects. We have created a powerful tool called Corso Care to monitor all of our customer facilities and systems to provide us with immediate feedback of any system issues or failures. 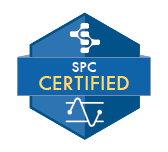 This provides an excellent first line of defense against any downtime related to your hardware or software. If there is an issue with your system, we strive to fix it before you even know about it, and allows us to get on the phone with IT staff in the event of network issues to resolve things as quickly as possible. Focusing on providing solutions has enabled Corso to build long-term relationships, and we are excited to begin our journey together. Everyone loves chocolate, so when Corso got a call to build an MES at a chocolate facility, we jumped on it! We started with one of their major lines. They had a vision and and wanted to go all out with the integration. Food and Beverage has some very strict regulations and the flexibility of the Sepasoft modules in conjunction with Corso allowed for easy iterations. This facility uses Siemens hardware and everything easily integrated with the rest of the system. All of these modules allowed the collection of a huge amount of information. In MES, collecting the data is the key and they certainly will have all the data they could possibly want. Providing so much automation capability allowed the company to test new ideas and use the data to confirm results. This along with automating their scheduling provided efficiencies previously unthinkable. At the end of the day, the visualization that the modules have provided have caused lasting impressions. 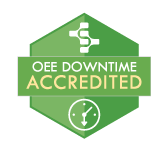 The operations team is in love with OEE & Downtime Tracking. Corso is still working on perfecting the MES for this facility and providing world class metrics. We are continuing the MES roll out to the rest of this facility as well as their other facilities across the world.